Charm your loved one with a serene and stunning white orchid ice bucket gift! 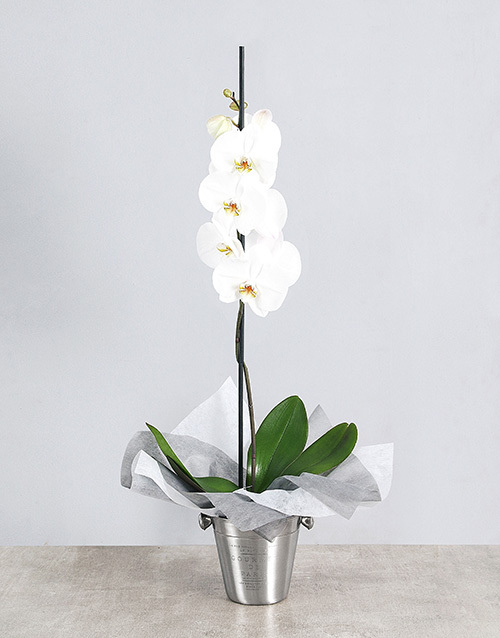 A single stemmed phalaenopsis orchid comes beautifully presented in an ice bucket with tissue paper. Be sure to send this Valentine's Day! Get this White Orchid Ice Bucket Gift delivered with NetFlorist.